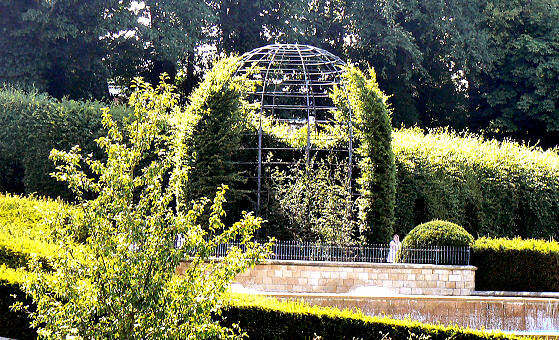 Ten years ago the site on which The Alnwick Garden now stands was a derelict space but the Duchess of Northumberland decided to create a beautiful public garden for visitors to enjoy. The garden has grown steadily ever since to a plan by two Belgian designers Jacques and Peter Wirtz and it is one of the few gardens that I have been to that is truly patronised by all sectors of the community with families going for a day out, to eat ice cream, to run around and above all get exercise in a pleasant and safe environment. 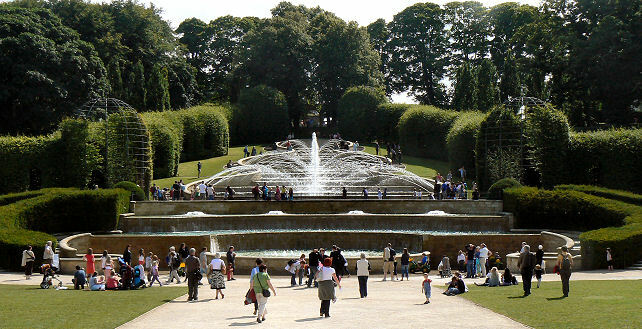 The first area you see after going through the entrance pavilions is the open lawn in front of the cascade which is flanked by yew hedges and is reminiscent of a stately home such as Chatsworth. It has a wow factor which makes the visitor want to explore and explore you can. You are rewarded with an area of sculptures that children can hide and play in or a garden with poisonous plants which appeal to the young at heart. 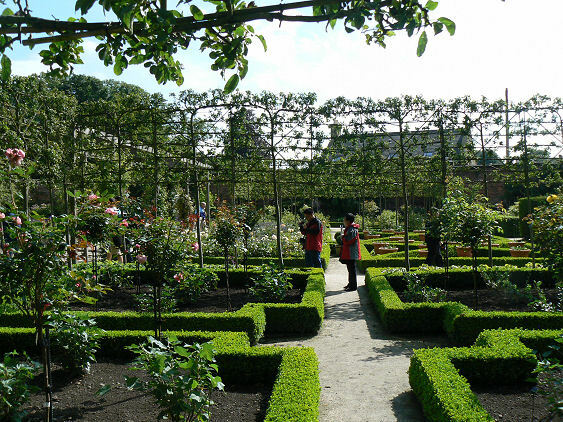 It is a garden though and the plantsman or women will also see the country’s largest collection of European plants in the Ornamental Garden. Children are encouraged to play in the water whether its the rills which take water downhill or the jets on the Grand Cascade. 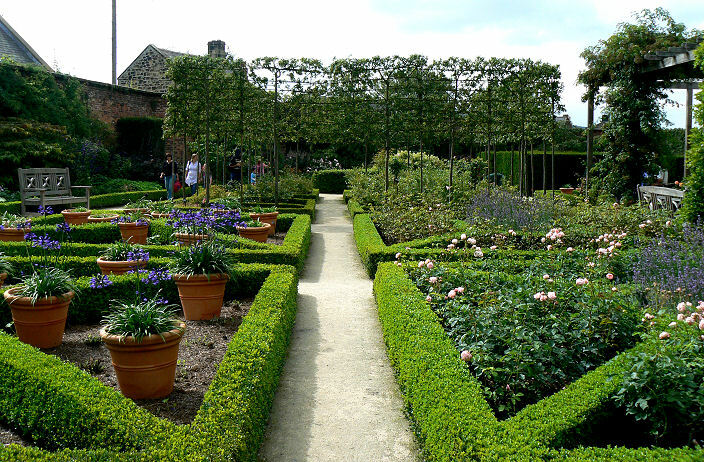 Box and yew abound and make the garden into an old fashioned pleasure ground. 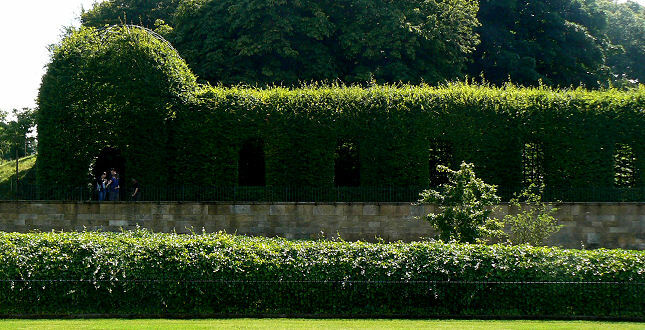 Besides the Yew and Box topiary and hedging there is much use of hornbeam and beech in Alnwick’s other hedges. Although the Alnwick Garden is large and has plenty of space to roam about it is still work in progress and there is another stage of development still to come which is being organised by the Alnwick Garden Trust the charity which runs the venture, so it worth going back several times if you are in the area. 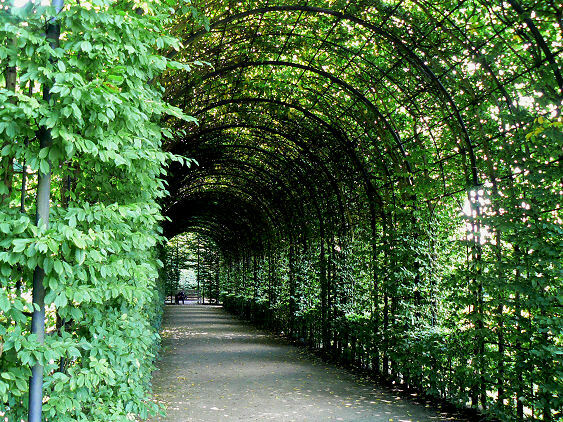 If you make the climb up the steps past the cascade and the rivulets at the top you are rewarded by going into a formal garden though a gate at the top which has many beds bounded by box hedging, some with unusually espaliered crab apple trees which give it height as well as structure. The formal garden has many interesting things to look at and is in fact a large walled garden which gives protection from the elements. Each bed is slightly different and there are surprises around every corner. Families seem to be enthralled by the dovecote in the corner, complete with, you guessed it. Doves!